As consumer expectations shift, connectivity is evolving from a feature to necessity. With insights from 126 automotive decision-makers, we take a closer look into how connected cars will drive the future of the automotive industry. The first American automobile race was held on Thanksgiving Day, 1895. The winning “horseless carriage” (one of two contenders to wheeze past the finish line) zipped through the 54-mile course at a blistering seven-and-a-half miles per hour, fighting for 10 hours through numerous breakdowns and repairs, a gas refill and a four-minute wait at a railroad crossing. Not exactly the Indy 500. The speed, safety and overall quality of cars the automotive industry produces has improved significantly since those early days. But it hasn’t changed much in terms of capabilities, function and design…until now. Digital transformation is impacting the automotive industry, essentially turning cars into 4,000-pound computers on wheels. Cars are evolving from means of transportation from point A to point B, and the industry is rich with new possibilities for both automakers and consumers. The connected car is finally making some serious headway. Connectivity itself is not a new concept; it started about two decades ago with companies like OnStar and ATX Group that allowed you to press a button and make a phone call in the case of an emergency or, in the case of an airbag notification, an emergency call was made automatically. However, connectivity has a whole new meaning today. For example, Tesla has several offerings that include full connectivity features, such as satellite-view maps with live traffic visualization, in-car streaming music and media and an internet browser. As consumer expectations shift, connectivity is evolving from a feature to necessity. “First the toy, then the tool,” as my father-in-law likes to say. We’ve been playing around with connectivity, using it for remotely unlocking doors and similar benefits. It’s been a toy for 25 years, but the technology has matured, become more sophisticated. It has reached the point we can use it as a tool. How do we know connectivity is ready for primetime? In a recent Jabil-sponsored survey of 126 automotive decision makers, 53 percent of respondents affirmed that connected cars are a key element to their automotive vision. In addition, just under 70 percent indicated that a connected and digital experience for consumers is becoming more important than vehicle performance. So, what does the future of connected cars look like? Although industry experts don’t expect fully autonomous vehicles to be generally adopted in the immediate future, just over 70 percent of our survey respondents said that mass adoption of autonomous vehicles will not hit until after 2030, most (if not all) automakers would assert that it is on the horizon. In general, the principal heavy lifting of autonomy will not rely on connectivity. Actual autonomy will be processed primarily by the vehicle rather than the cloud. If a vehicle relies on connectivity for autonomy and it exits a connectivity zone or cellular data quits or a variety of other factors go wrong, then the automobile has nothing to fall back on. Just think about all the split-second decision-making involved in driving. If a car cuts in front of you, there’s no time for your vehicle to run the information up to the cloud, process data and run commands back down to the car. It needs to hit the brakes instantaneously. However, as autonomous vehicles enter the market, the need for connected vehicles to offer entertainment will heighten as people fill the time they would usually spend staring at the blacktop or battling traffic. Instead, they have the luxury of reading the news, making some online purchases, checking emails and streaming TV shows as their car breezes through the morning commute. “Road rage” could soon be an experience of the past. On a more sophisticated level, automakers can enhance the passenger experience by incorporating augmented reality (AR) on heads-up displays that can provide an immersive, educational experience. For example, if someone was driving by the Eiffel Tower, information could pop up on the windshield explaining when the tower was built, who the architect was and more. Automakers and consumer tech companies are vying for control of automotive infotainment, as companies like Apple produce applications like CarPlay that replicate familiar user interfaces inside the car. However, according to our survey, half of automakers are confident that they will own an infotainment system of the future. Time will tell how this all plays out. Tier 1s in the automotive space must also contend with this as competition in the automotive industry shifts. The changing landscape of infotainment hardware, apps and other platforms, all of which were traditionally owned by tier 1s are slowly transferring to large consumer technology companies and back to the orignial equipment manufacturers (OEMs). This could heavily impact the financials for many tier 1s. As previously alluded, when people have to worry less about driving while in their cars, connectivity will become more important. It opens new opportunities with a car’s infotainment system. For instance, marketers can use it for targeted advertising. As consumers drive by their local grocery store, they can receive an offer for 10 percent off produce. When your car lease is running low, the system could pitch a new lease. Or, marketers could go even further; based on the type of music drivers like listening to, they can receive information about an upcoming concert or a tease for an upcoming album. From a non-marketing perspective, connectivity offers drivers a more personalized and convenient experience, such as an automatically customized music playlist or paying for a service or product without even cracking the car door. For example, Jaguar is teaming up with Shell to enable people to pay for gas through its infotainment system. Despite the advantages of connectivity, automotive software updates present a challenge. Automakers are accustomed to building cars with a platform lifecycle of five years. Although they add slight tweaks and modifications, they essentially continue to construct the same car. This poses a dilemma when it comes to connectivity: how do you blend car and phone technology to create an ecosystem where automakers can compete? Or how do you convince customers to invest in an in-car infotainment system instead of buying a $5 suction cup that will stick their phone to the windshield? Moving forward, it would make most sense for the automotive industry to invest in infotainment services they are developing. Focusing on vehicle-specific and well-integrated experiences within the car will give built-in infotainment systems a distinct advantage over cellular phones. This engineering offers a significant advantage in communication within the vehicle, providing an experience that is not possible by syncing your phone to a display in the car. An in-car infotainment system can provide information on vehicle performance, tire wear, service scheduling and more. According to a McKinsey survey, 37 percent of consumers would not even consider buying a connected car. Much of this resistance is due to concerns about security and data privacy. After all, hacking into a vehicle is no small matter and not entirely a new danger. For example, in 2015, two researchers discovered an electronic route from the entertainment system of a Jeep Cherokee that gave them access to the car’s BUS system, thereby giving them remote command of the vehicle. Automakers are well aware of this issue. Although security isn’t a new issue, now automakers will have to ensure safety digitally as well as physically. Participants in Jabil’s survey voted security the top challenge that the industry faces in delivering connected automobile solutions. Tesla has developed an interesting method for finding bugs; it’s offering hackers a reward. The company has offered to give almost $1 million and a free Tesla Model 3 to anyone who can find previously unreported vulnerabilities in the car’s software. “Tesla values the work done by security researchers in improving the security of our products and service offerings,” the company states on its website. Over the last two years, only two vulnerabilities earned prize money from Tesla. Automobiles must always be secure, not just at their initial launch. They need systems in place that will be capable of withstanding the rough conditions of weather, terrain and more while remaining effective. The problem needs to be solved with significant redundancies and alerts to malicious behavior throughout the entire system and at every component: the communication module, the cloud device management software, at each service layer, etc. Then it also needs to be capable of rapid change to update any and all of these as the security threats and risks constantly change. In other words, the most effective solution is to package security around every part, then around the vehicle as a whole and finally around various sections. That way, the connected car can become a cocoon from physical and digital harm. The next challenge is to figure out how to do all that without confounding the user interface system, so someone coming out of the grocery store with an armful of bags doesn’t need to provide an 18-digit code and pass a bio scan to unlock the car. Constructing a successful security system will have to involve balancing user experience, simplicity and robust best practices. There are two types of data being gleaned. One relates to the car, engine and machine itself. The other relates to the driver and passengers. Manufacturers benefit from this information as it allows them to determine how to make their machine better in the future as well as how to improve the user experience. Increasing restrictions in privacy laws, such as the General Data Protection Regulation passed by the European Union in 2018, make this obstacle even more complex. The challenge is figuring out how to gather this information without violating people’s privacy. It is a question that every company is wrestling with as they try to strike a balance between wanting to learn more and provide benefit while also remaining compliant with privacy regulations. 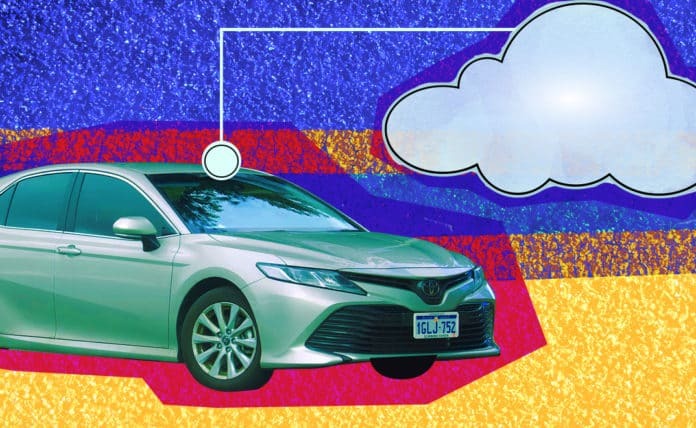 The potential risk that their cars could be collecting information and selling it gives people pause as they worry about setbacks such as usage-based insurance that could spike their monthly rates. Insurance carriers might be able to glean information like how distracted drivers are or what kind of conditions they are driving in. Of course, there might be trade-offs that people are willing to make. We’re living in an era where people are used to relinquishing certain information to receive services, such as exchanging their email address for a coupon or bits of their DNA for an analysis of their racial heritage. While the growing data is an unusual issue for automakers to wrestle with, the industry recognizes data privacy concerns and the need to anonymize all data. Then, to whatever extent they can, they can try to identify general automotive trends without tagging the information to an individual. The book “Who Moved my Cheese” tells a fable about two mice and two “little people” who discover a large supply of their favorite food: cheese. But as time goes on, the amount of food dwindles, until finally, the four characters have eaten all the cheese. The mice simply scurry out to find a new supply, but the two little people are stupefied and dismayed into inaction. This story illustrates the futility of perceiving problems as dead-ends instead of open doors to fresh opportunities. Finally, trying to force himself to accept reality, one of the little people adopted the mantra, “If you do not change, you can become extinct.” In other words, obstinately clinging to what works at one point in time will lead to irrelevance in the long-term. Similarly, automakers will have to maintain a mentality of “adapt to survive” to remain competitive as the auto industry undergoes unprecedented changes. Some of the biggest challenges will be learning to quickly adapt companies to changing aspects of the industry, investing and focusing on change and keeping an on eye on future drivers. Currently, the automotive industry maintains a specific infrastructure designed around a powertrain department and a transmission department and an interior and exterior and safety. It’s an automotive machine wrapped around mechanical, electrical and safety systems. Automakers across all departments need to develop a cohesive, future-focused mindset, looking to shift with the new paradigms changing the industry. The cheese has moved. Almost every automotive department needs to start having an IT mentality…now. They need to ensure that they are doing their jobs differently considering the possible changes creeping up in the industry: a connected environment, autonomous vehicles, shared ownership experiences and the all-electric powertrains. Currently, many companies are focused on improving the driving experience. But what will happen in 15 years (give or take) when driving is autonomous? What will the go-to-market be like? The more ingrained this mindset is, the more sustainable the company will be long-term. Automotive has come a long way since the early 20th century, when cars were largely considered a public nuisance; they blasted fumes, got stuck in the mud and startled buggy horses. In some towns, police were even authorized to shoot at automobiles, as though a lumbering Model T was as menacing as a charging bear. Rethinking and reinventing strategy, goals, focus and investment are almost without a doubt the biggest challenges automakers have had to contend with since the men in blue stopped firing bullets at the plodding tires. But it comes with a profusion of opportunities. From a simple vehicle consisting of some seats and four wheels, they are evolving into smarter, autonomous and more capable systems. And one of the driving forces for change will be a need for connectivity. Written by Trevor Neumann, Vice President of Business Development, Automotive at Jabil. This post originally appeared on the Jabil Blog.